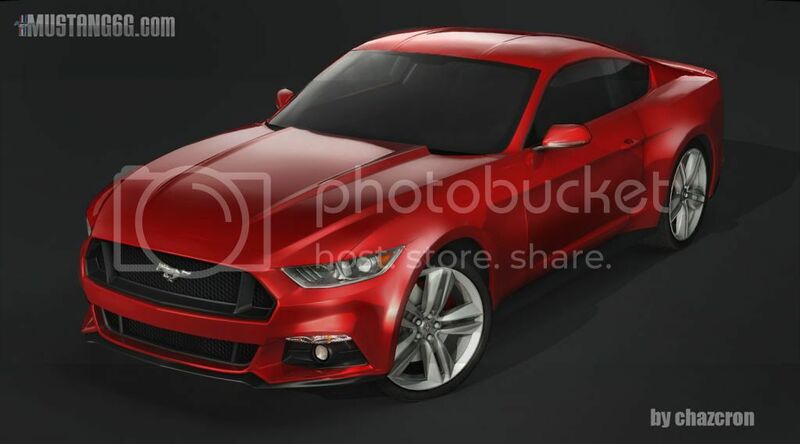 Mustang6G forum member chazcron is responsible for the images, which are said to have been built from the growing number of Mustang spy shots circulating the Web. The wide, horizontally divided grille we saw up close a few weeks ago is there, but the swoopiness of the Evos concept has largely been banished in favor of clean, straight horizontal lines. The large front and rear overhangs we spied previously have also evaporated, though they were likely a function of Ford's aggressive camouflage in the first place. 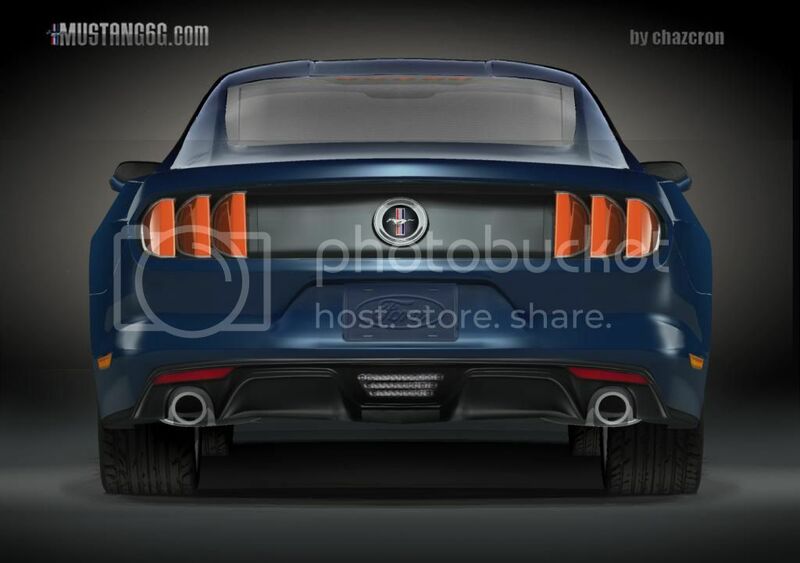 Fans of the three-bar taillights will be delighted to know that they aren't going anywhere -- and the new 'Stang seems to wear them well. Last edited by Blue Goose; 10-19-2013 at 10:23 AM. If the real thing looks like this, which with the camo'd shots seem to look that way..
Looks like a Honda Accord coupe on the side profile. Kind of has a Fusion look to it. Who are you guys kidding? Up front it looks like a Taurus, streamlined slightly for a sportier look. It's a good looking car. There were rumors it would be smaller, but the link Brad posted yesterday on Facebook said it would be roughly the same size.